Would You Skip Church for Football? I know pastors who are discouraged by diminishing attendance at worship services. As Thom Rainer recently pointed out, an active church member 15 years ago attended church three times a week. Now it’s three times a month. Pastors and church leaders feel the encroachment of activities vying for church members’ time and attention. The cultural Christianity of yesteryear, which reserved Sundays for worship and rest, has disappeared. In its place are travel leagues that tie up families, sporting events that lure away men, and shopping sales that entice women. Carving out time for worship and rest takes intentionality these days, and churches are feeling the impact. Now, I can see some pastors shaking their heads, thinking, They must not have polled my church! Other pastors may wonder about the “halo effect,” that human tendency to answer a poll in the way we perceive ourselves rather than the reality. “I read my Bible every day” (when it’s really three times a week) or “I share my faith once a month” (when it’s really once a year). But even if we allow for some margin of error, or we take into consideration the halo effect, it’s still stunning how many churchgoers say, “Nope. 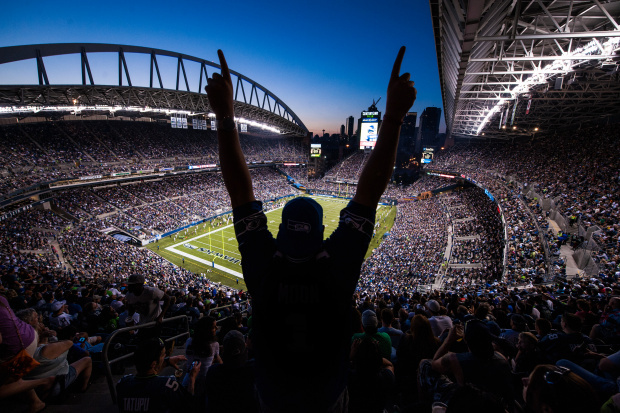 I won’t skip worship to watch football.” The number of those who would skip is noticeably higher in men (nearly 1 out of 4) than women (1 out of 10), but even so, most churchgoers say their commitment to worship takes precedence over a sporting event. People have been skipping church for centuries. And though we may think we’re busier today than ever before, we should remember that in agricultural societies, harvest season sometimes interfered with attending church to the point congregations would gather for prayer in the fields. Pastors and church leaders expect congregants to miss from time to time due to health reasons, vacation, or occasional conflicts. But skipping church for football rubs pastors the wrong way, perhaps because they sense an inherent competition with the event itself. As human beings, we perceive our existence at two levels: as an individual and as part of the larger society. It’s in our nature to want to activate what Jonathan Haidt in The Righteous Mind calls “the hive switch,” that is, we shut down the self and become part of the whole, much like bees who are fulfilling their roles in a hive. Haidt uses college football as an example of losing yourself in the group. “It is a religious rite that does just what it is supposed to do,” he writes. “It pulls people up from Durkehim’s lower level (the profane) to his higher level (the sacred). It flips the hive switch and makes people feel, for a few hours, that they are “simply a part of a whole” (287). 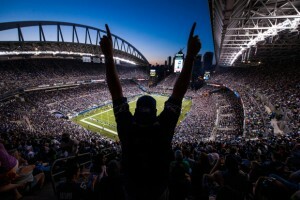 The act of being in a stadium, part of a larger whole, within a grand narrative of wins and losses and individual personalities that meld together to form a team – all of these elements resemble, in one form or another, gathering with believers in Christ and re-centering our individual lives within the cosmic story of redemption and the called-out community of faith-filled saints. So, even though pastors are probably encouraged to hear most churchgoers say church matters more than football, those same pastors probably feel the loss of churchgoers to football games more strongly than if their congregants were missing for other reasons. What to do? I addressed the issue of “part-time churchgoing” last year, and I cautioned against guilting people into going to church, or avoiding the issue altogether. Instead, we need a renewed vision of worship and a gripping sense of the majesty of God so that all the other events competing for our attention lose their luster in light of His grace.